It was 50 years ago that Ruth Rendell introduced Inspector Wexford to the world, and she’s been making waves in the world of crime fiction ever since. Both a prolific author and sitting member in Britain’s House of Lords for the Labour Party, Rendell mixes compelling crime storylines with social and political commentary and has helped to shape the genre. As we celebrate the 50th anniversary of the Inspector Wexford mysteries series, it’s the perfect opportunity to also celebrate Ruth Rendell’s contributions to crime fiction. It all started in 1964 when Chief Inspector Wexford first appeared on the scene in Rendell’s debut novel, From Doon with Death. Groundbreaking at the time, this popular mystery series gave the traditional police procedural a twist by incorporating social issues like racism, domestic violence, immigration, and feminism into each storyline. Inspector Wexford wrestled with these issues as fiercely as he wrestled with criminals, appearing in 24 books in the mystery series. He solved his last case as a police inspector in 2009 in The Monster in the Box and has since appeared in two additional titles as a consultant since retiring from the force. 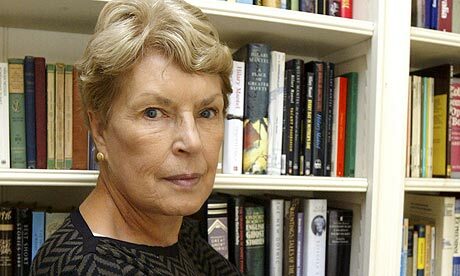 Along with writing the popular Inspector Wexford series, Ruth Rendell’s contributions to crime fiction include helping to pioneer the psychological thriller. In her stand alone novels, she focuses on criminals and their victims – often creating characters with mental afflictions or social disorders that leave them isolated. Then, she examines the impact that social and economic circumstances have on her characters – and how those circumstances lead them to commit crimes. In thrillers like Talking to Strange Men and The Face of Trespass, Rendell is credited by many with transforming the “whodunit” into the “whydunit” with her emphasis on motivation. Rendell also writes thrillers under the pseudonym Barbara Vine. In these crime fiction novels, she delves even more deeply into the psychology of criminals and weaves more social criticism into her stories. The Barbara Vine psychological thrillers often focus on family dysfunction – as in the fierce custody battle in the Edgar Award-winning A Dark-Adapted Eye or the story of family secrets and heirlooms in A Fatal Inversion, which won the Crime Writers’ Association’s Gold Dagger. The Crime Writers’ Association and the Mystery Writers of America have additionally recognized Ruth Rendell’s contributions to crime fiction with multiple Silver, Gold, and Cartier Diamond Daggers and three Edgar Awards. Her innovations in the crime fiction genre over the last 50 years laid the groundwork for contemporary authors like Lianne Moriarty and Gillian Flynn – and her fans still wait eagerly to see what she’ll deliver next.